Frequently absent from this discussion, however, are the people most in need of economic growth. People in poverty are the ones most affected by the environment. These are the rural poor. Their stories of growth and development bring something very important to conversations about the environment and economic development– proof that the two are not in conflict. 85% of people living in poverty around the world live in rural areas. Many associate the image of poverty in urban slums and overpopulated metro areas. Most often, however, global poverty looks like a subsistence farmer and his or her family’s challenge of survival. 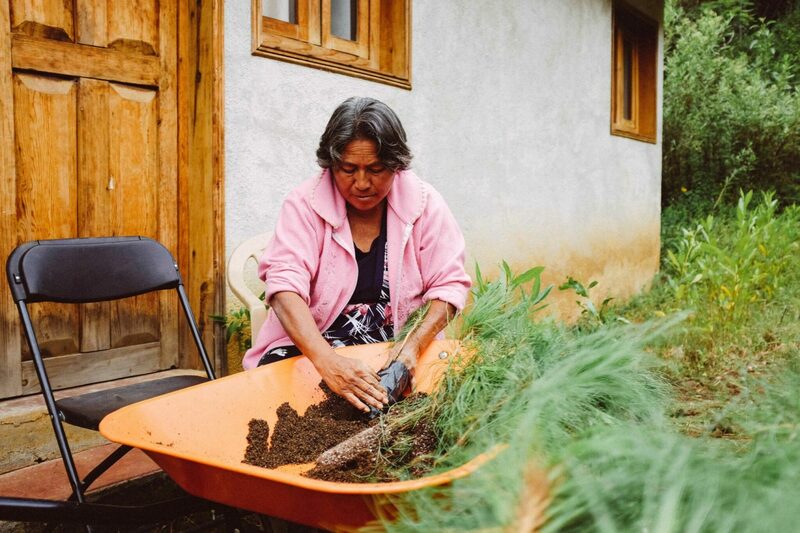 Plant With Purpose works with rural farmers in seven different countries. Our experiences and interactions with the farmers remind us that people’s well-being is connected to their environment. 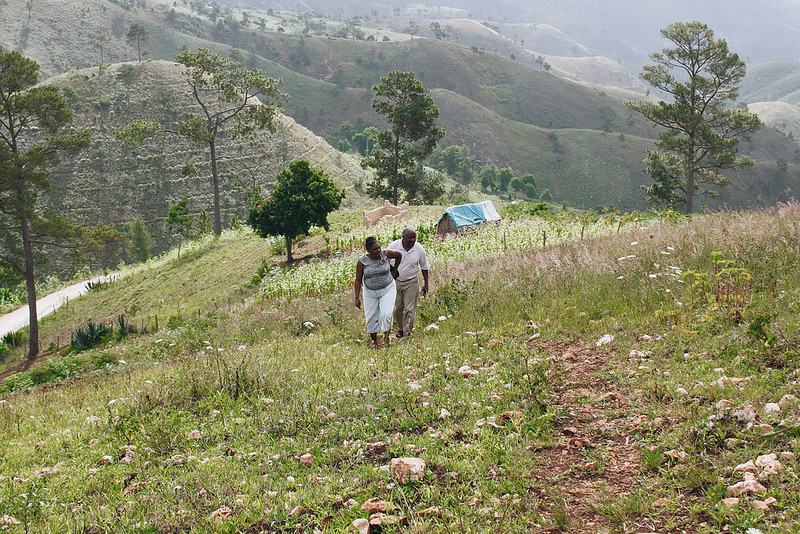 Haitian Hills Team members from Plant With Purpose Haiti survey the hills. Without trees and with exhausted soil, crop growth becomes significantly diminished. For families that rely on the land for their own food and a small income, this can be devastating. The most effective work I’ve seen done to help these populations grow out of poverty features environmental treatment and care as a central component. 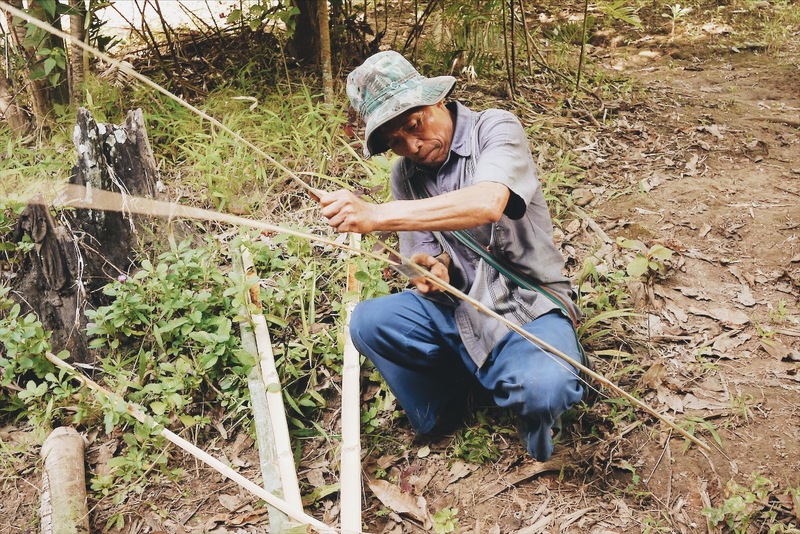 Promoting the use of organic materials is a key component of Plant With Purpose’s work. A major myth is that the environment and economy must be at odds. Their stories remind us that ultimately, all of us live off of the land in some way. When we lose sight of the bigger picture and the importance of caring for that land, we suffer in many ways, including economically. A scarcity of resources can also lead to further environmental abuse. As rural farmers overcome poverty, it creates a roadmap for how different economies around the world can grow effectively. It starts looking at the root causes of poverty. It requires making an effort to care for and protect the earth and its resources. Mungubariko shows some of the growth from his most recent harvest. Mungubariko has witnessed great change. To see that kind of change occur at a global level would be incredible. Mungubariko and his story remind us that it is possible. 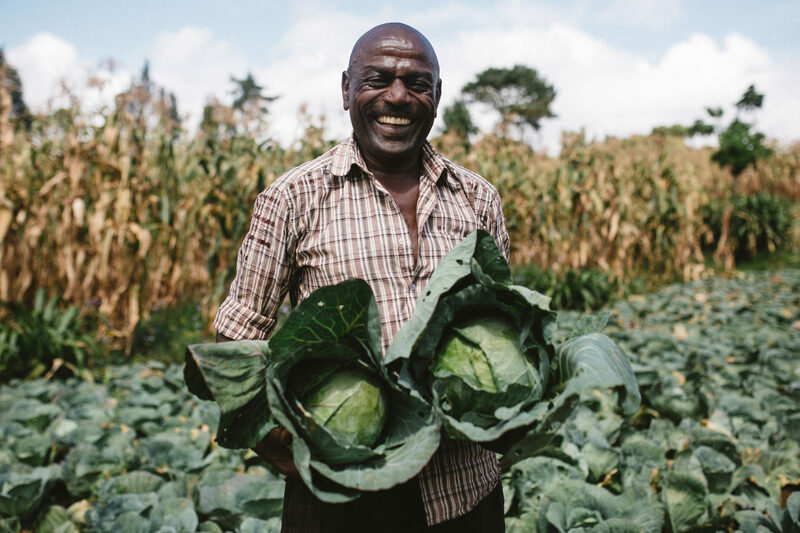 To create even more change for farmers around the world, become a Purpose Partner!